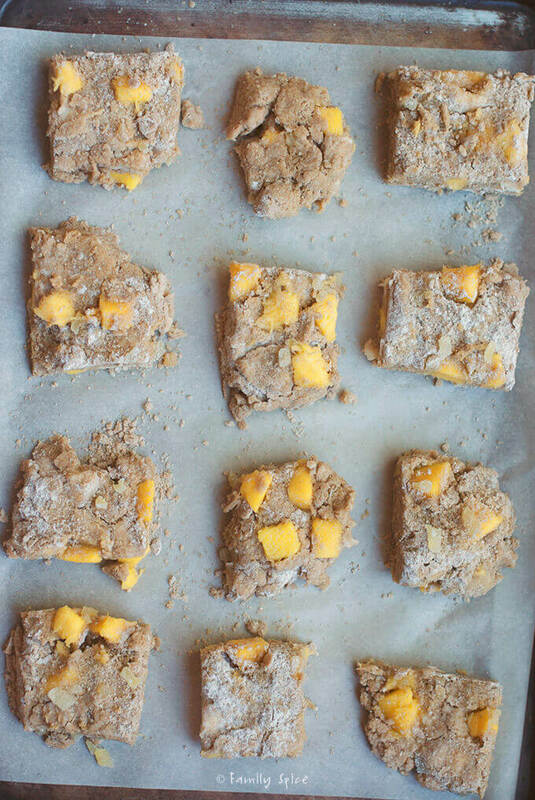 These whole wheat mango scones are moist on the inside and full of sweet chunks of mango with peppery bits of candied ginger. As parents we look for ways to make sure our kids eat a healthy balanced diet. This becomes problematic when children are picky eaters and may not meet their nutrient needs for the day. There are easy ways to fortify foods so children receive optimal calories, protein, vitamins, minerals and fiber. The following are a few tips to maximize the nutrition power in the foods you may prepare for your kiddos. Make oatmeal with 1% or 2% milk instead of water. 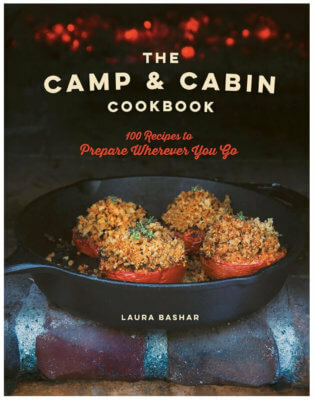 Keep flax meal handy and add it to foods like casseroles, soups, smoothies and baked goods like these Whole Wheat Berry Bars. 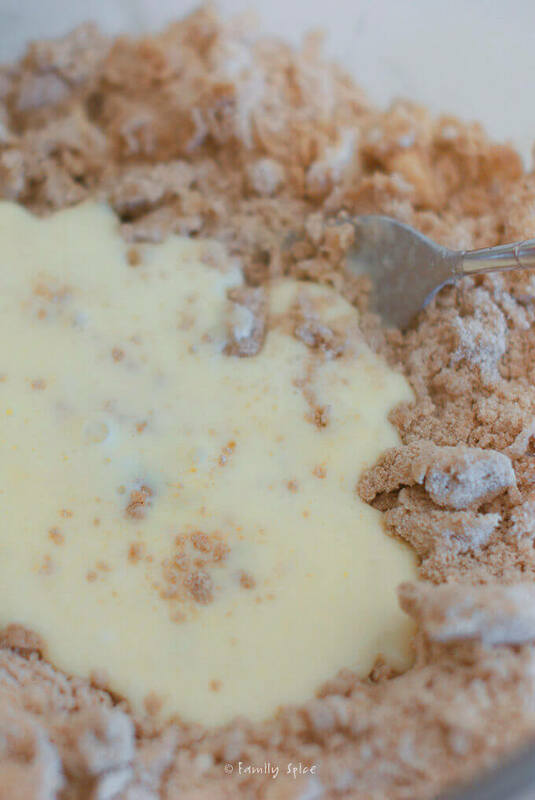 Mix in milk when make scrambled eggs. Add whipped cream cheese as you’re scrambling the egg; it not only adds calories but makes the egg softer. Use heart healthy extra virgin olive oil in your recipes. 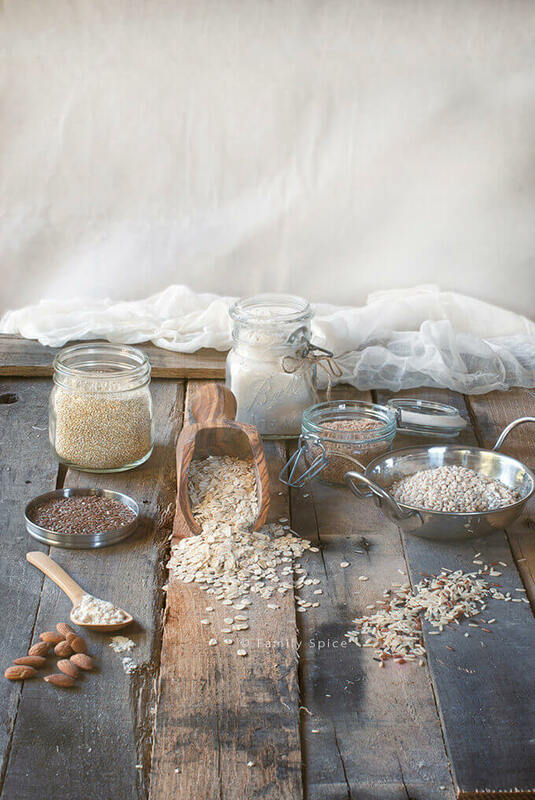 In making home made soups, oatmeal may be added as one of the first ingredients for added fiber. Shredded carrots and fine chopped spinach added to spaghetti sauce provide additional antioxidants. This marinara recipe is packed with many hidden vegetables! Make fruit smoothies with a variety of berries, fresh or frozen, yogurt and 100% juice. Avoid juice cocktails. For additional protein in smoothies, add dry skim milk powder or pasteurized eggs while blending. Broccoli slaw is always a great addition to salads in case kids are averse to the whole vegetable. Sandwiches may be made with “Double Fiber” bread. Each slice provides 6 grams of fiber. One way to sneak in nutritious whole grains that I have shared with you is the use of whole wheat flour in my baking. 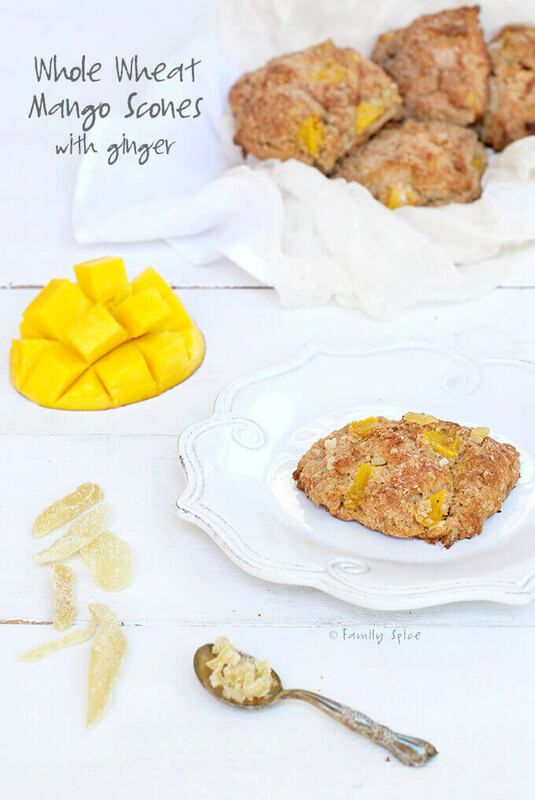 These Whole Wheat Mango and Ginger Scones are not only super delicious but are made with whole wheat flour and not the stripped down white all purpose flour. 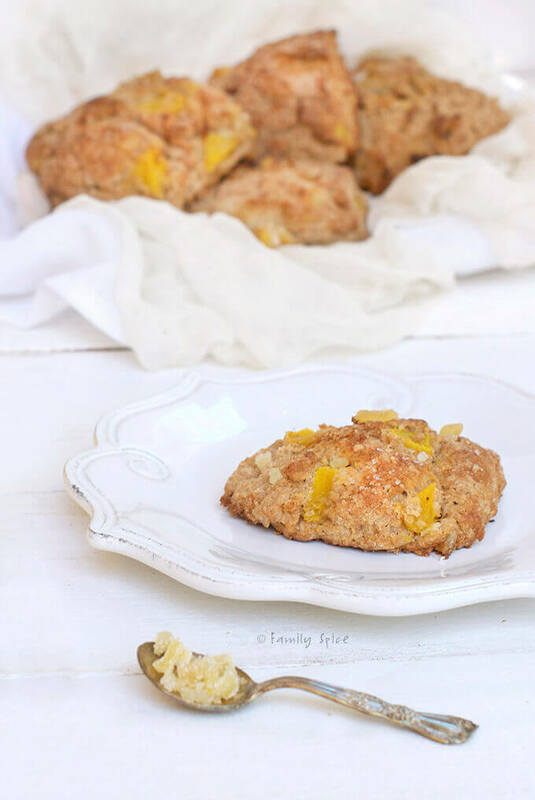 These scones are lightly sweetened with sugar because it is studded with naturally sweet mangos and small amounts of candied ginger, which includes iron and anti-inflammatory properties. 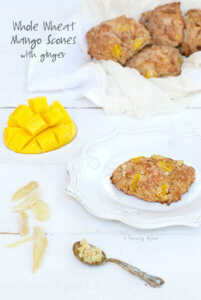 I love the peppery notes of the ginger mixed in with the sweet mango and nutty whole wheat scones. I hope you enjoy them, too! Get creative when adding nutritious foods to your child’s diet. You will find it’s easier to change a 5 year old’s eating habits than a 35 year old’s! Turn half of the dough onto a lightly floured work surface and shape into a circle or rectangle, about 1/2-inch thick. 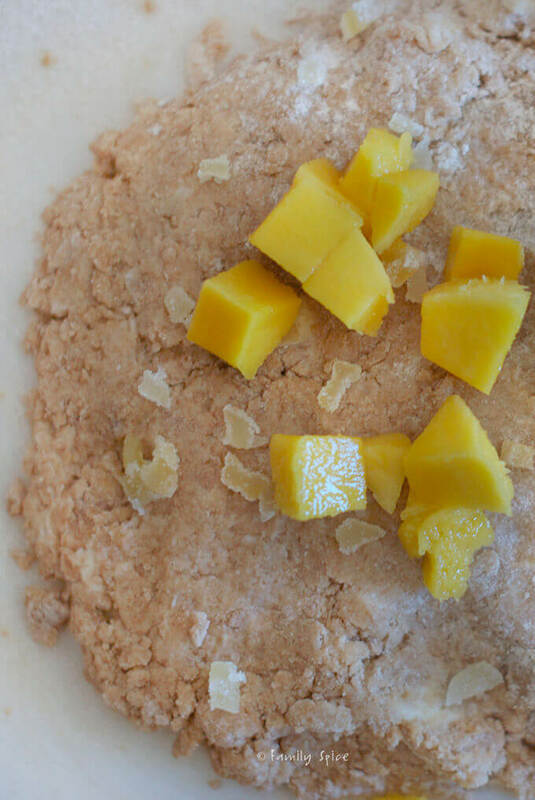 Press over the mangos with the remaining half of the dough from the mixing bowl.